Indoors or outdoors, the PrimaX Gas Transmitter provides dependable, accurate gas detection. The transmitter detects toxic gases and oxygen and is housed in an antistatic, reinforced nylon enclosure. It also has a large, easy-to-read LCD screen and attaches to an integral mounting plate for easy installation, while the built-in keypad makes for quick, simple calibration. To transmit data, the unit uses a 4-20 mA output signal and can also be configured to use HART digital communication. With easily replaced plug-in sensors, the PrimaX I transmitter is suitable for laboratories, chemical plants, power plants and several other industry settings. For more information on the MSA PrimaX, download the presentation at this link, or contact Power Specialties by visiting https://powerspecialties.com or calling (816) 353-6550. 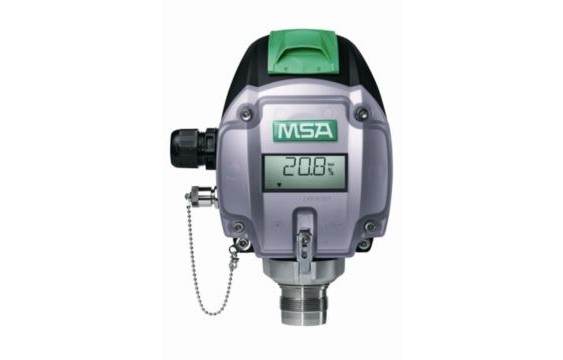 MSA PrimaX Gas Monitor from Power Specialties, Inc.